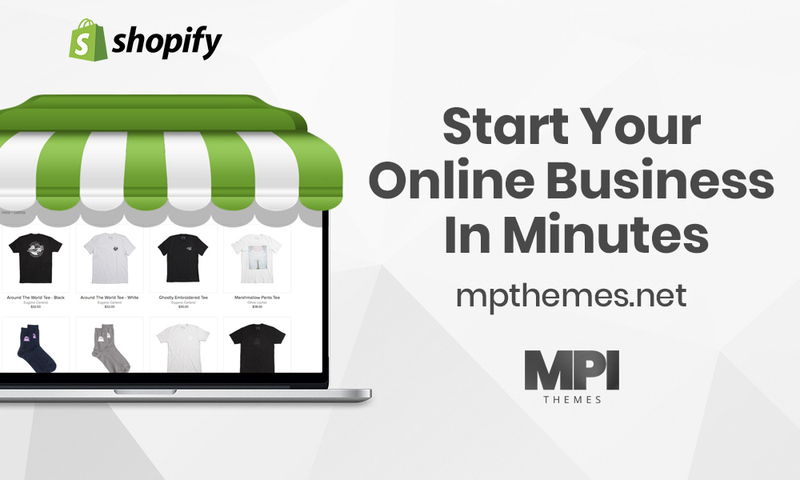 If you are an online merchant, then you must know what good a professional Shopify theme can do for your business. Shopify themes are loaded with a gamut of features meant to tailor your online store to your customers’ needs and preferences. The Shella fashion theme is specifically designed for various kinds of merchants. 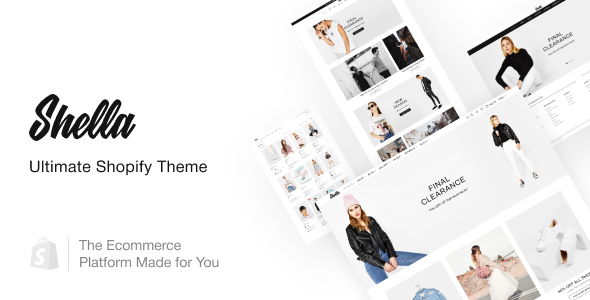 Our featured Shopify theme for this piece is the Shella fashion theme for e-commerce stores. This super responsive theme is designed to attract the online shopper. Giving your online store a look that keeps new visitors scrolling to see more is one of the keys to creating an online business that thrives. Shoppers looking through fashion brands are heavily influenced by your store’s visual appeal. 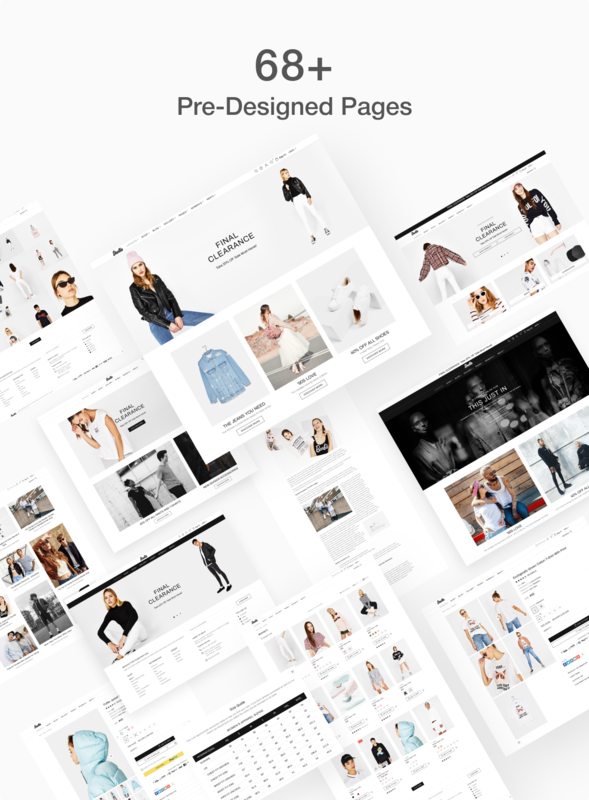 Shella’s premium Shopify theme for fashion stores comes with all the features you are used to from Theme Forest and others that make it even better. 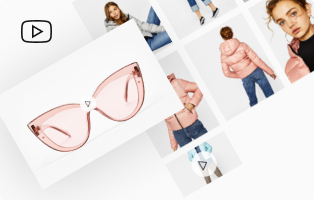 With it you can use fashion icons, banner builders, true collection filters and many more features to personalize your brand. 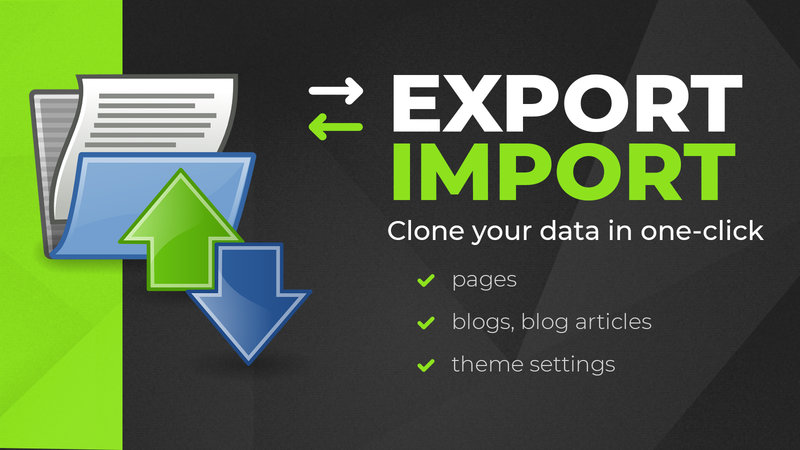 If there is one thing you will never miss when using the Shella theme, it has to be options. The developers have included numerous options for headers and footers for you to choose from. 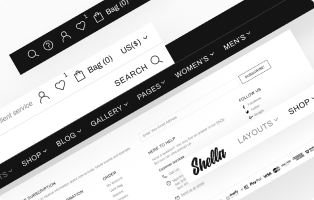 Forget about the typical checkout button that takes you through a process before you can buy your merchandise; the checkout buttons for the Shella fashion theme are a bit different if you are buying a single product. 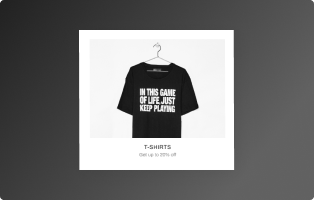 Customers can easily proceed to checkout without having to use the cart for single purchases. The banner builder gives you a chance to showcase your merchandise in whatever way you find suitable for your e-commerce site. There are six types of twelve column grids to choose from. With the Shella fashion theme, you have all you need to make the best first impression with captivating banners. Your visitors expect an experience that stands out from the competition and Shella will give you exactly that. The innovative slider comes with the theme and allows you to create captivating slideshows showcasing your wares or just general information about your business. Is there too much to read, too little to view on your site? Break the monotony by adding a YouTube video showing what you have to offer. Adding a video is simple really, what with the built-in ease of use. You should be broadcasting in a few clicks. A lot has been said about SEO and how it is not effective anymore but as an online merchant, you know you can’t do without it. Shella gives you the tools to optimize for your niche so that you can attract more customers that will actually turn into conversions. The Google Rich snippet tool applied here optimizes your site. Shella theme tested by MOZ SEO tool to ensure you get it right. Nothing is more irksome to a client than a site that has what they are looking for but is unreadable. Get access to all the RTL writing systems widely used across the globe including Persian, Arabic, Urdu and Hebrew when you use the Shella theme. 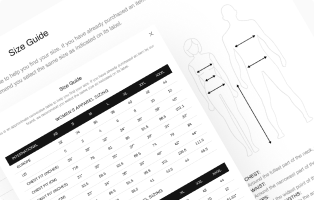 Customers shopping for clothes and shoes often want to find out their size before making the purchase. That’s easy to do when you are using the Shella theme because you can add the pop-up page that leads you to the size guide page. Even with the best theme for your online shop, there’s very little you can do if you don’t have an expert to guide you. The team of developers is always on call to answer you queries and guide you through the theme. With endless colors and over 68 pre-designed pages, it’s not hard to see why the Shella theme would be your choice. Have fun choosing from tons of homepage templates with all the characteristics you hope developers would think about.